The fact that the current BMW X5 will have a shorter production span that we’re used to is no longer news. Through various interviews and opinions, BMW officials stopped just short of confirming it themselves but a host of sources speak of it already as a certainty. 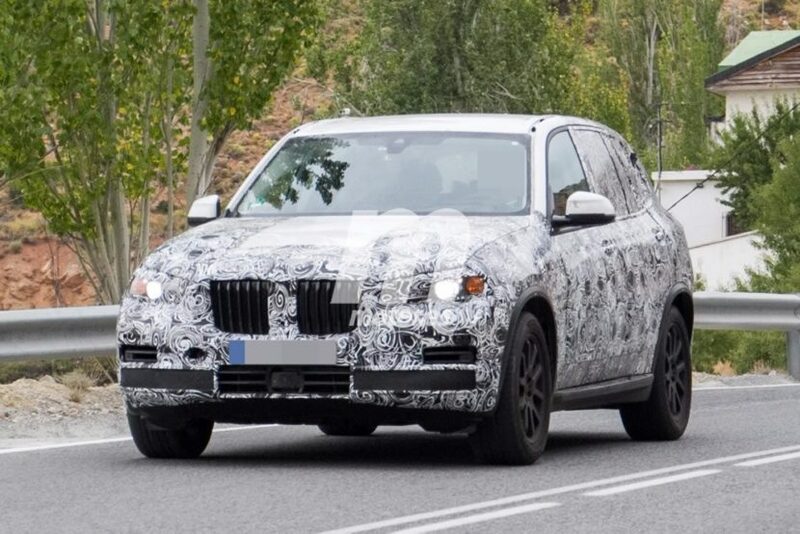 Our sources confirm the rumors as well and as we repeatedly reported, the new G05 BMW X5 will be available starting with 2019, bringing a couple of well-picked upgrades to the table. The most important change will not be visible but will be felt when driving the new models, as the G05 X5 will be built atop the CLAR architecture. That means it will be most of all lighter on its feet, offering better MPG figures at the same time in the process. This move will also mean that the X5, X6 and X7 will be sharing a lot of their underpinnings, even though the latter will be the most luxurious and spacious model of the three. And while all that sounds great, we just got word that the new X5 will also be getting all new petrol engines when it comes out. Since the range will be limited to just two mills, that’s not a big effort from BMW but it does point out to a couple of changes that may happen later down the line, which might affect other models as well. The BMW X5 will be available in sDrive40i, xDrive40i and xDrive50i guises when it finally arrives in the US according to our source in Munich. However, while the names might not be completely new, the engines will be. The 40i badge will bring a revised version of the B58 3-liter straight six engine which will be so changed that technically speaking it will be considered a new engine altogether. The B58TU will have 335 HP in models without the M Performance logo on them which is a 15 HP increase compared to what we’re used to today, on the 340i for example. Furthermore, the N63 4.4-liter V8 will also get a makeover, making it a new engine altogether due to its extensive changes. It will be making 465 HP and yes, it will be different from the one we have on the M550i model today, making the X5 a model without any legacy petrol engines in its range. Moving away from the US market, where the fate of the diesel engines is still unsure, other countries will also get diesel mills offered under the hood of the X5 but they won’t be completely new as is the case for petrol. The base xDrive30d model will be using the B57 engine with 265 HP, the xDrive40d will have 320 HP while the M50d model will come with the new quad-turbo B57S mill with 400 HP.